We need you! Do you have a business idea worth shouting about? It can be an existing company, a new venture or just an idea you’ve been dreaming of. 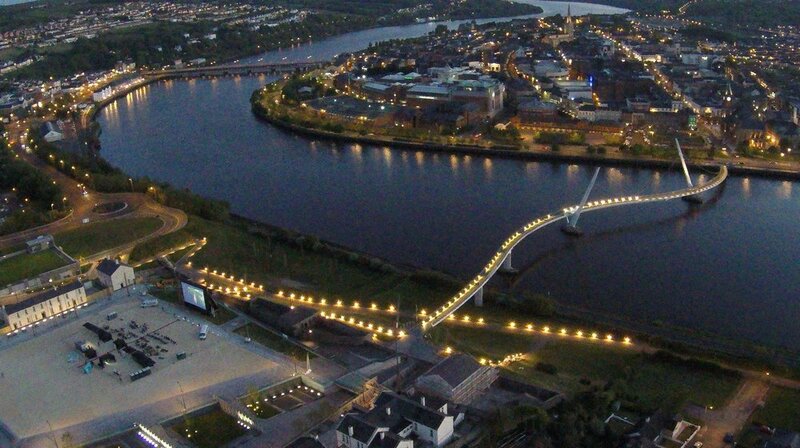 You also need to be passionate about becoming part of a new riverside community of businesses and organisations that are there for the people of Derry/Londonderry. We need you to occupy river spaces with your business. In return you will get subsidised rent for taking part in health and wellbeing training and being part of a young persons education programme of real life work experience. The pods are part of a wider project aimed at increasing the use of the river front and helping people navigate and utilise the space to its full potential. Because you want to be part of something that will improve the riverfront and the city for everyone. Also because you want to try your hand at something new that might just change your future! Our Future Foyle is proposing designed spaces that will be situated around the River Foyle. Giving you a fantastic place to work, flexible spaces, low cost rent and access to a range of resources such as business, health and wellbeing training. These pods will occupy around the riverfront of the three bridges and footpaths. * An expression of interest means your application is still very fluid. It also means you have the opportunity to opt out once the spaces and details have been formalised. We are asking for expressions of interest to be completed by March 31st 2018 The spaces will be introduced to the river on a rolling programme with a prototype version being launched in 2018. ‘Foyle Bubbles’ are a series of pods designed to house arts, commercial, educational, leisure and wellbeing activities around the river front. These will increasing footfall, and create destinations on the river front as well as offer new employment and business opportunities to the community. Individuals or organisations within the pods will undertake free training and if possible offer young people alternative education such as internships in return for reduced or free rent, enabling you to promote everyday health and wellbeing within the community and make the river a better place. The pods will form a river front community. Members will support each other through the journey of starting a new company, create a community on the river front and take care of the pods, making day to day decisions. Each member working in a pod will be trained for free in first aid, mental health awareness and support and business training. 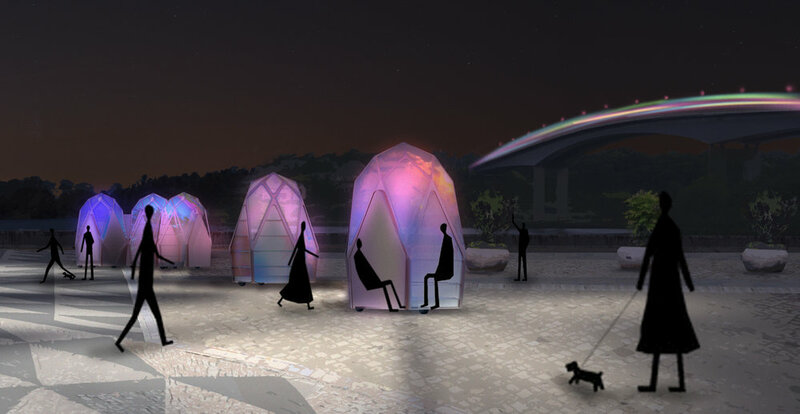 The pods will move around the river front allowing users to be close to the action, respond to festivals and social need around the river front. We are looking for also sorts of people and uses to feel the pods, people asked for the pods to be used like this during a public consultation we undertook at a cinema event. Regardless if your a cafe owner, barber, artist, provide a service to the community or have a start up idea we want to know how you would use a pod and how it would benefit the riverfront and your progression. We are looking at a socially innovative way to make these spaces affordable. Although the bubbles will be basically free! There is always a catch. Ours is occupiers will be asked to undertake mandatory health and wellbeing training such as ‘Mental Health First Aid’, Join a community network for change and enrol in a programme of employment and education for the young people of our city to experience different industries and gain training through the bubbles network. Rates will also be adjusted for Commercial and Charitable uses, events and public hire. Employment and Education Programme - young person 3 days per week internship. * An expression of interest means your application is still very fluid. It also means you have the opportunity to opt out once the spaces and details have been formalised. This pricing strategy is not finalised so should not be used as a reference for external applications.